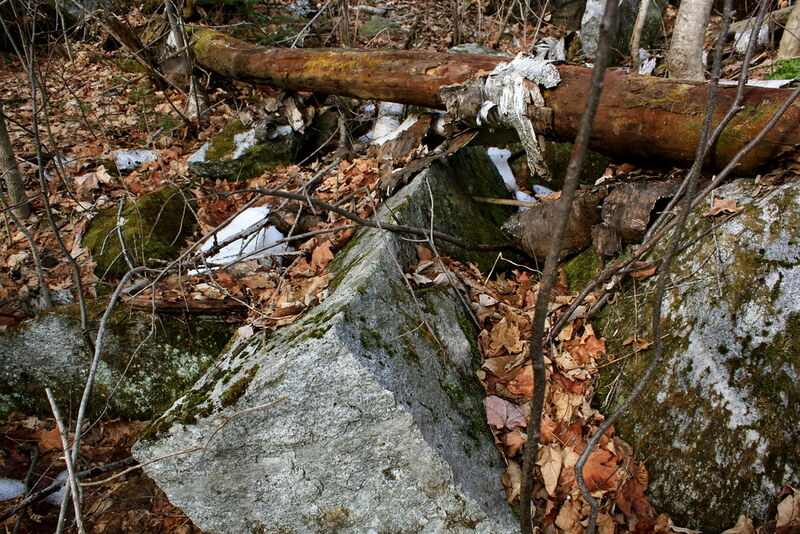 A year ago in April, John and I found this small quarry on my land way back in the woods. 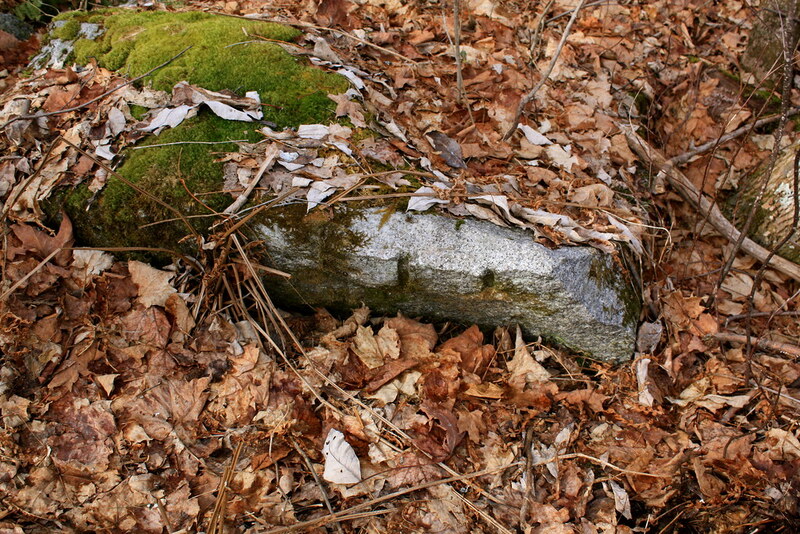 Amy has since told me that she had found it long ago, but she never told me about it. This quarry is not on the maps. 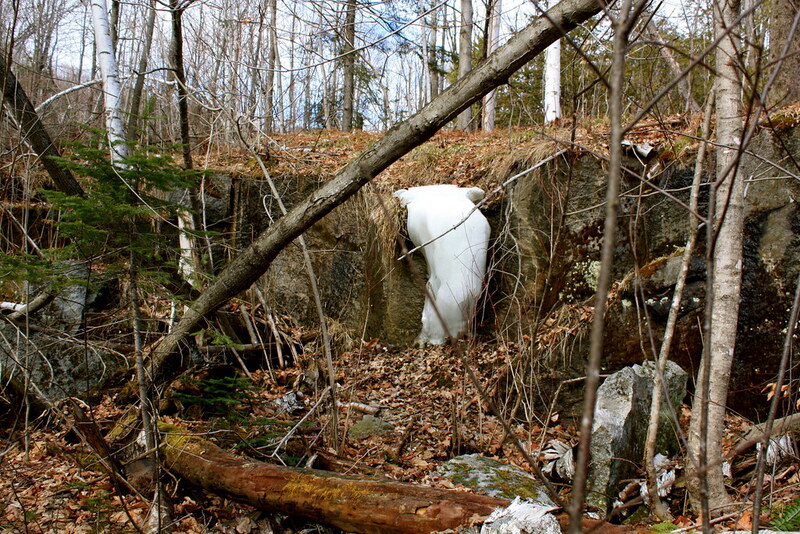 John theorized that it was an exploratory quarry and when the seams of quartz were found, it was abandoned. 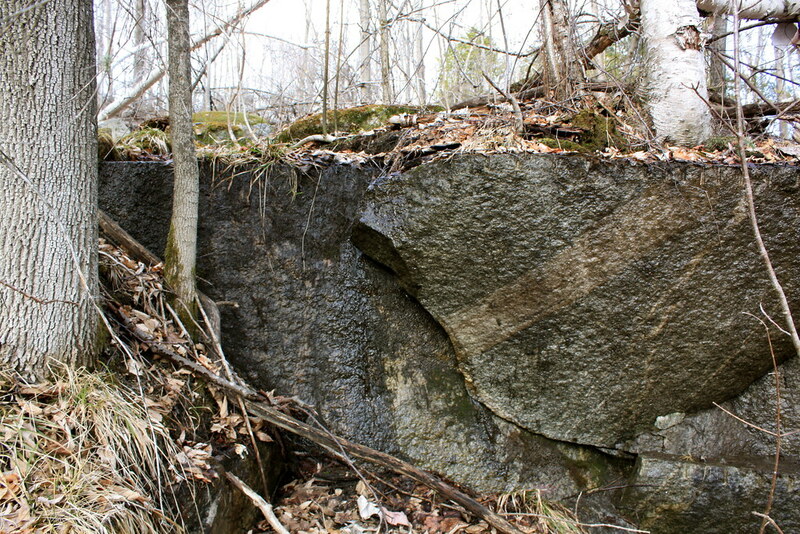 But we have found (as you will see in Part 4 in the future) that this quarry was used to make our house. 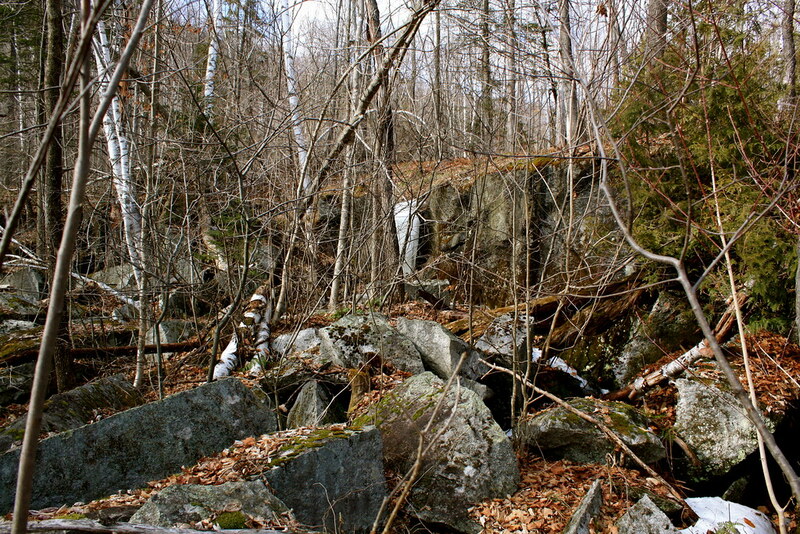 Above: cut granite was never taken down the mountain. Above: Buddy Cat (who always hikes with us at home) hears a mouse. Above: a closeup of where Buddy heard the mouse. 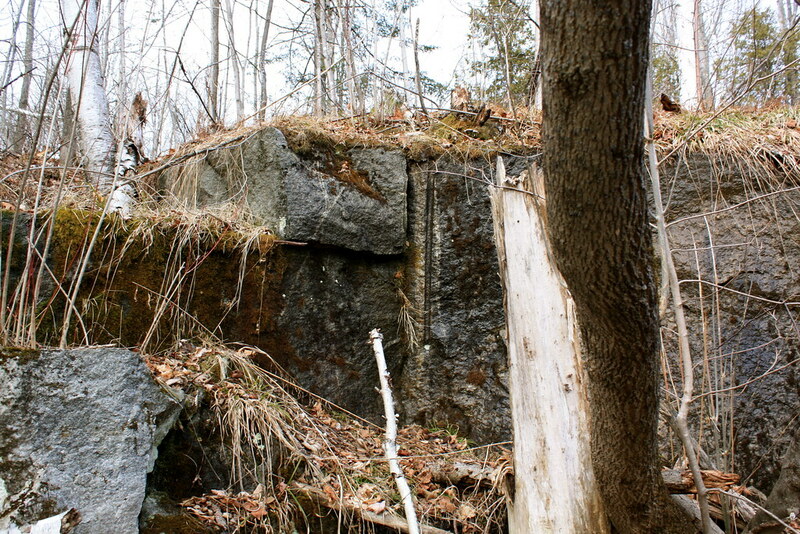 If you have never seen an old, abandoned quarry, you could walk into it and not recognize it. Below: you can see the marks the drills made in the granite. 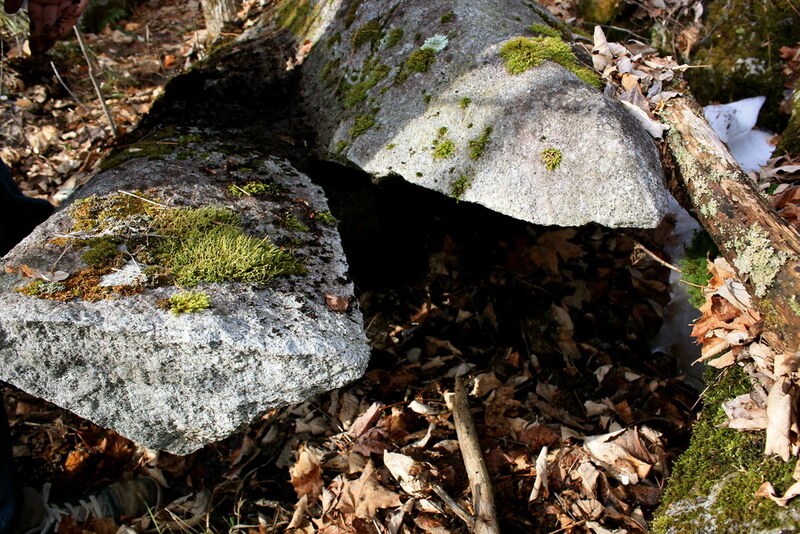 All are these granite rocks..